I recently ordered this book. I love Hitomi Shida’s books. The stitches are so interesting to knit. 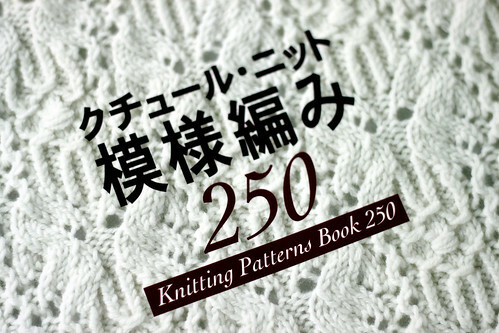 For anyone who likes to knit complex stitch patterns and can figure out their own shaping, I recommend this book. I want to use several to knit socks. Maybe even knit one into a sweater someday. 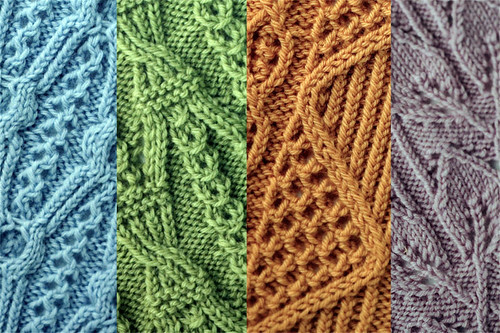 I cut and pasted to make the second photograph below to show some of the stitches. This entry was posted on Wednesday, August 5th, 2009 at 3:00 am and is filed under Knitting. Tagged: Book, Knitting. You can feed this entry. You can leave a response, or trackback from your own site. I have always wanted to purchase a Japanese stitch pattern book but never knew really which one to ‘start’ with. Thanks for featuring this one! It looks fantastic.